703-INSURED is the Modern Insurance Agency for the Washington DC metro area. 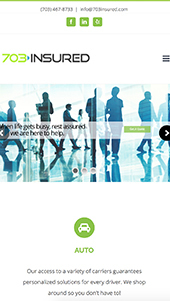 They take the hassle out of shopping for the best insurance rates, searching through company ratings and benefits, and trying to guess what coverage to buy. It’s important for their clients to have options while looking to cover the most important things in one's life such as cars, home and business. 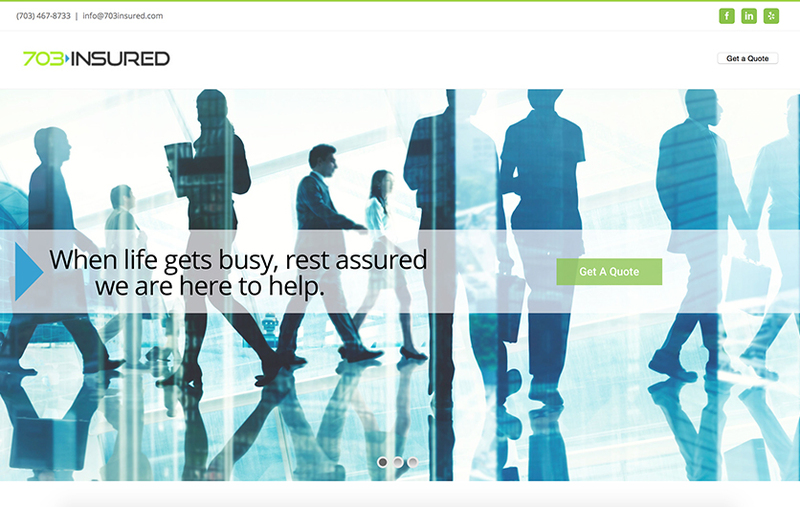 The design of the new website illustrates 703-INSURED's intensity, drive and distinct energy in a clean, simplified way. Attention to detail with scroll over effects and creative treatments for incorporate the firm's brand guidelines in an impactful way.